Welcome to Week 5 of the Lantern-a-long (also known as the LAL)! 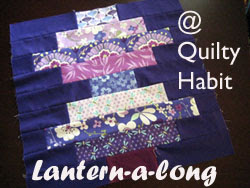 If you're just joining us, there's still time to make a quilt top, though this is the last lantern of the bunch!! Feel free to join the Flickr group and post pictures of your lanterns as you finish them. We've had some beautiful blocks so far! See this post for more info on the quilt top sizes and fabric requirements, schedule (also below), sponsors, and then this post for prizes. Again - it's not too late to join! In contrast to last week, today we're making the longest lantern of them all. It reminds me of a slinky all stretched out :) Do you agree? And seriously, compared to the other blocks, look how long it is! Finished size: 20.25" x 14"
I hope you enjoy making this one - I think it add the perfect amount of whimsy to the quilt (as if having blocks of so many sizes doesn't have enough whimsy ;) ). Don't forget to check your scraps to see if any of them fit the dimensions, before you cut more 2.5" strips! 1. Choose your print fabrics for the lantern. You need 10 this week, but 4 of them will only show a small bit. This would be a good opportunity for fussy cutting. Place them wisely! 3. 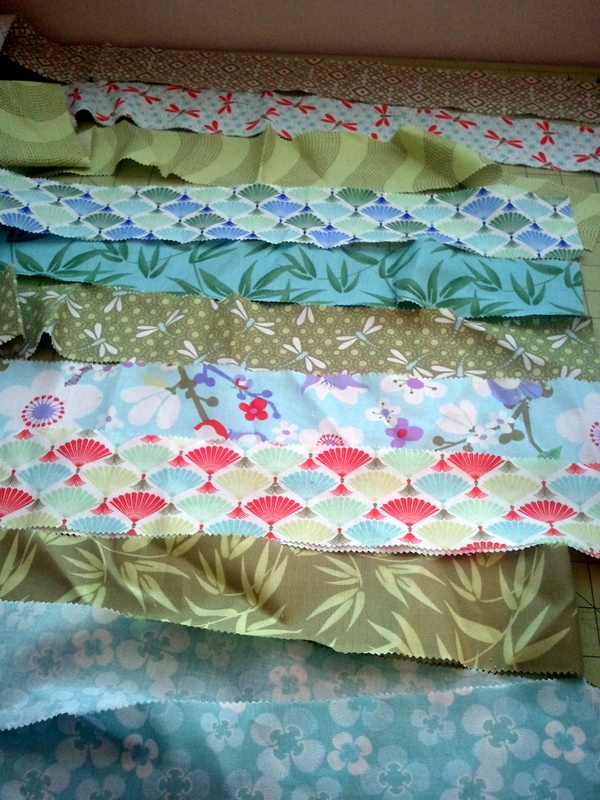 CUT each strip of background fabric in HALF (row 1's will turn into 6" each, and row 2's will turn into 3.75"). 5. Press your seams to the side, out towards the background fabric. It's up to you, really (feel free to press them open if that's your preference), but I like the visual effect of the lantern inset in the background. 6. Sew the rows to each other. I found it easiest to divide the block up first, like so, because it is just so darn long. 7. Trim to 20.25" x 14" (if you want). Now you have your fifth block!! Here's another version I made with the grays (and light pink) of Good Fortune by Kate Spain (again, sorry for photo wonkiness - quilt tops don't cooperate with me often). If you're making a larger lap size, make sure you are sewing AT LEAST 2 or 3 of these. If you're making a baby quilt, you only need 1 or 2, and you'll add some background fabric to fit around it! Now, for the quilt top! Read on! 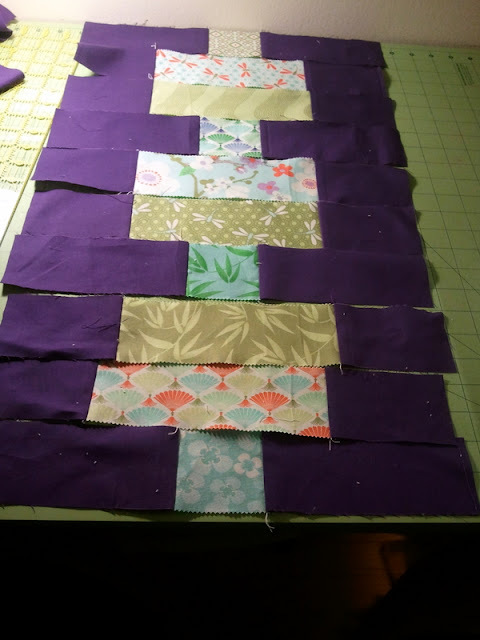 According to how you lay out your quilt, now, you'll have to add in background fabric. 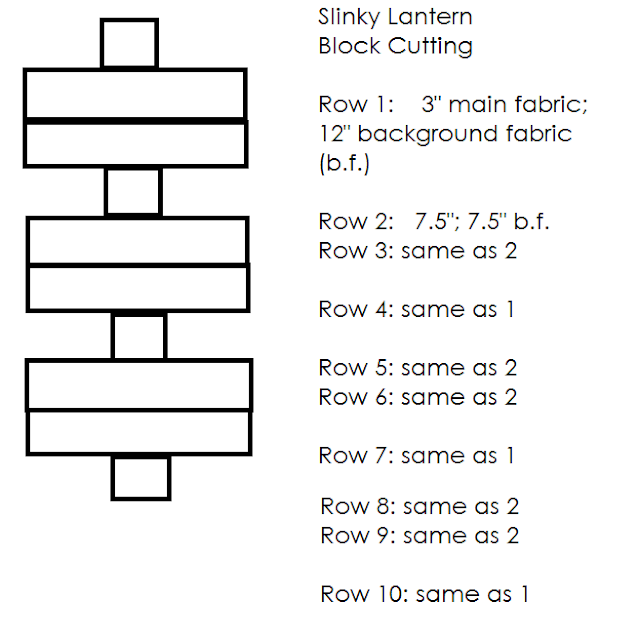 You might want to create the illusion of "hanging" lanterns, like I did, by staggering the amount of background fabric at the bottom and top of each block, and then sewing them all together in rows. Don't forget to check out my suggestions on quilt top layouts from yesterday! 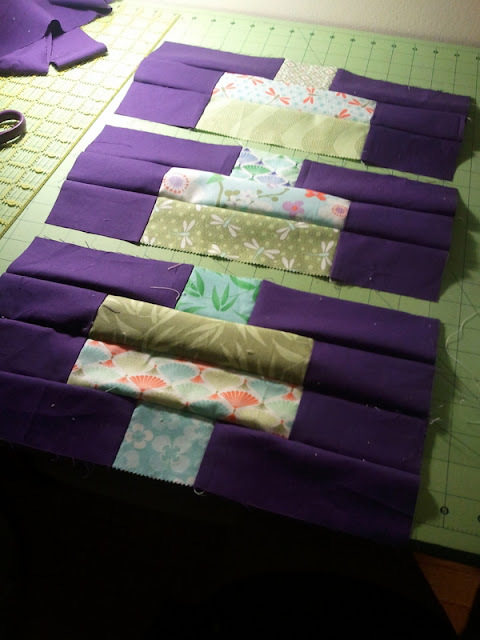 Here's one way I added in my extra jelly roll strips (they are too pretty not to use!) - I pieced them at random throughout the quilt, like at the bottom of this lantern. You could also use them as your binding, or as part of a pieced back. I can't WAIT to see what everyone decides to do! Like, I check the Flickr page 5 times a day. Haha! I wish I was kidding. **The linky party for quilt tops will be open next Monday, for one week. You must link up a top via your blog or Flickr to be eligible for prizes! 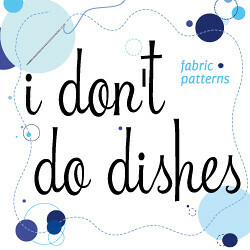 If you don't have Flickr or a blog, feel free to email me your quilt top picture and description - I will post it here on my blog. Yay! This is my Tuesday project!!! is the linky LiVe YET?